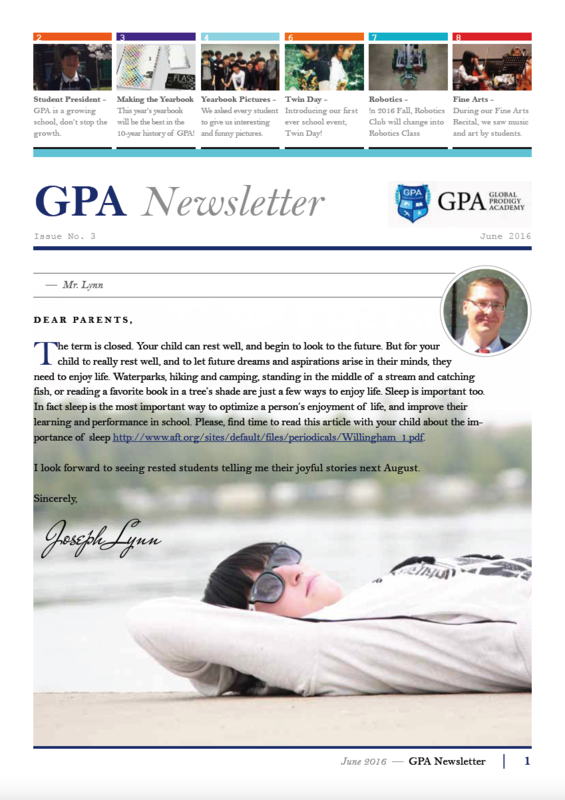 As part of the GPA Yearbook class (now changed to “Graphic Design”), one of our jobs was to create a fairly regular newsletter to send out via email to the students’ parents. We tried to make one per month and will continue to do so for as long as I teach that class. I had also previously helped students create their own newsletter in Computer A (learning Microsoft Office) in 2014. We used MS Publisher for that design. 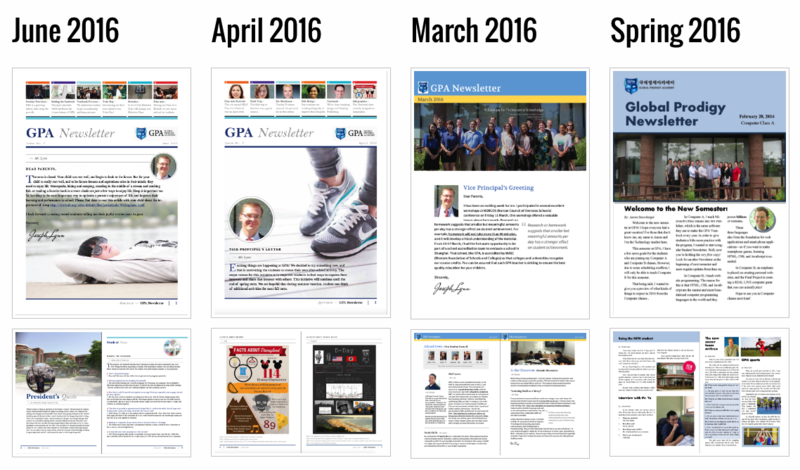 Visit http://gpa.justkeeplearning.xyz/yearbook and click on the “Newsletters” tab to be able to view the designs or download them. and content frames (all things we’d previously studied in the class). Then, I provided them with a pre-made template file (in case they had any mistakes in their work) to put together the June 2016 newsletter.